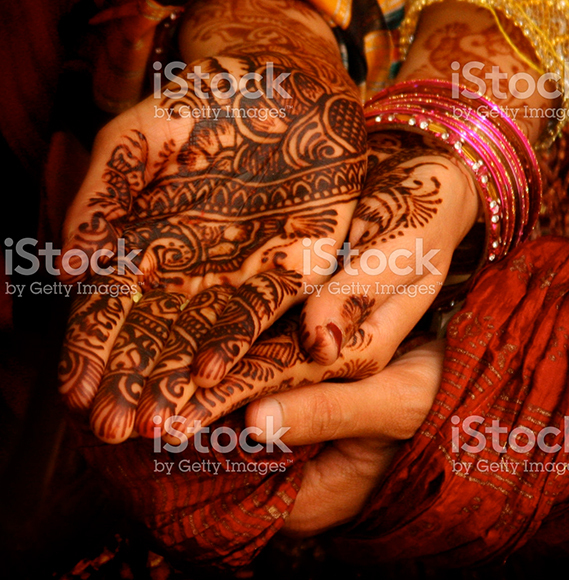 Mehandi is an exciting and traditional part of many Indian weddings. A traditional pre-wedding ceremony, Mehandi generally takes place the day before the wedding, in the morning. The bride and the groom’s family observe this ritual separately at their own residences. Mehandi is one of the oldest forms of body art, and depending on what the bride prefers, henna is applied on the front and back of her palm, forearm, till above the elbows, and on the feet till below the knee. Antun’s by Minar can help you plan your Mehandi ceremony. The scale of the ceremony depends on individual choice, but if you are planning an extravagant Mehandi ceremony, Antun’s by Minar can help you plan and host this beautiful ritual. We have provided Mehandi services for many Indian weddings, and our staff can guide you through the planning process, and give you and your guests an unforgettable experience.